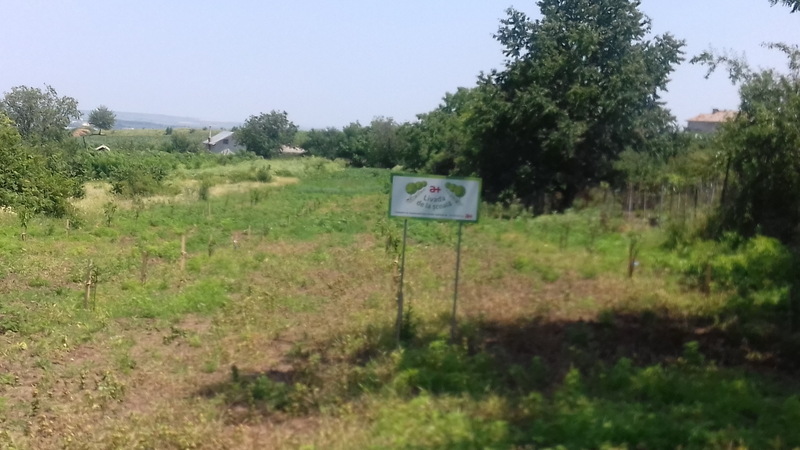 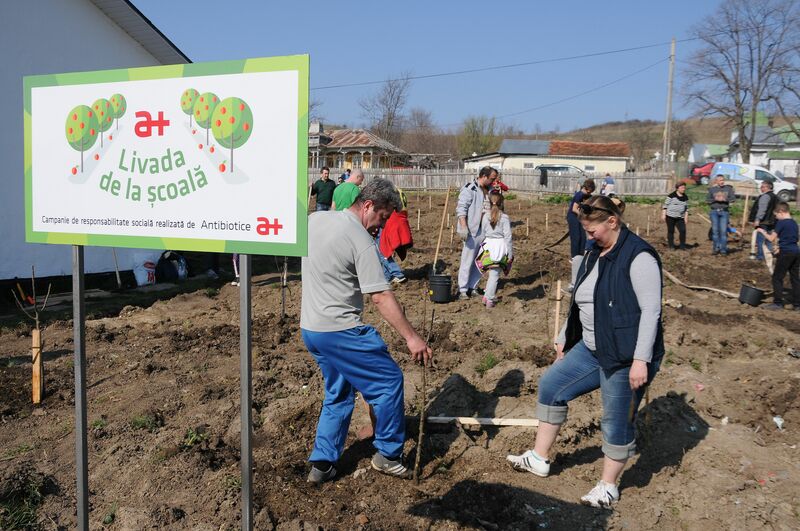 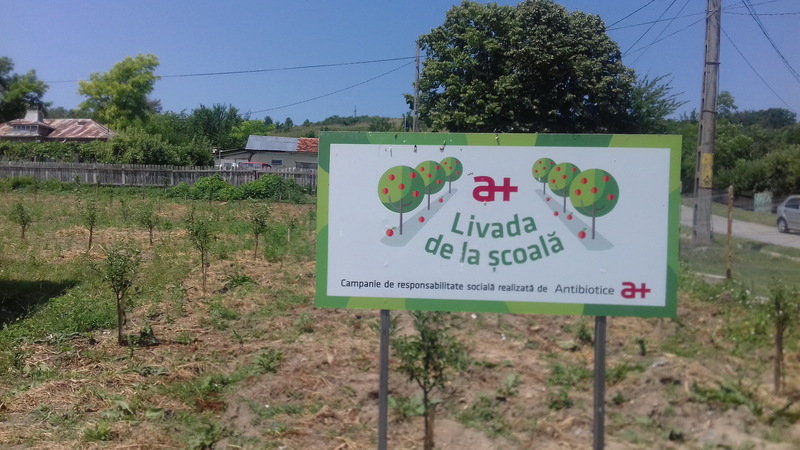 The Orchard at School (Livada de la Şcoala) is a project brought to 3 schools in Voroveşti, Proselnici and Miroslava. 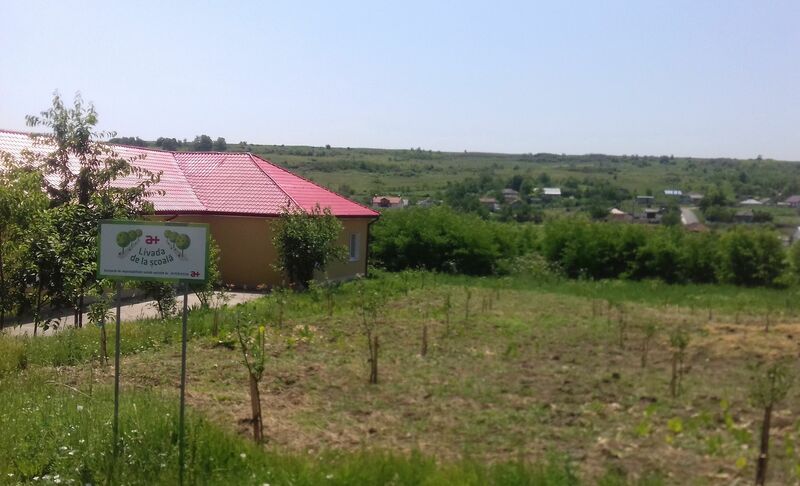 Miroslava Town Hall, all fruit trees planted on April 1st 2017 by Antibiotice’s volunteers have firm roots by now. 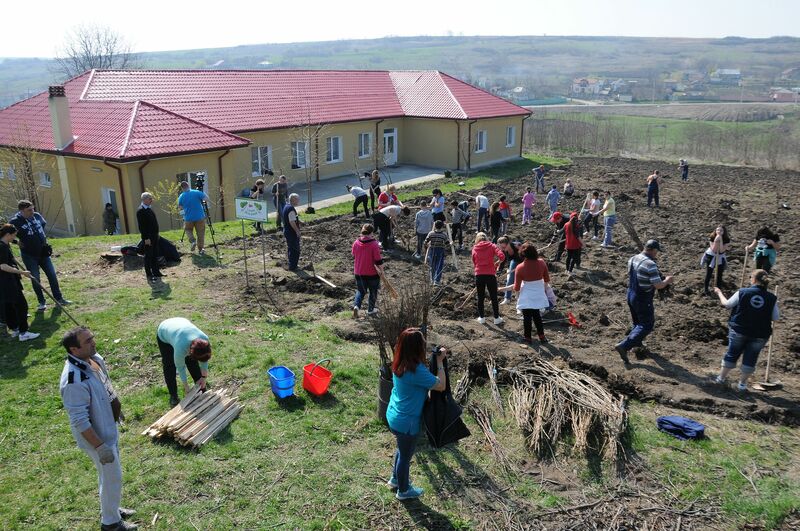 Mihail Kogălniceanu Technological Highschool from Miroslava. 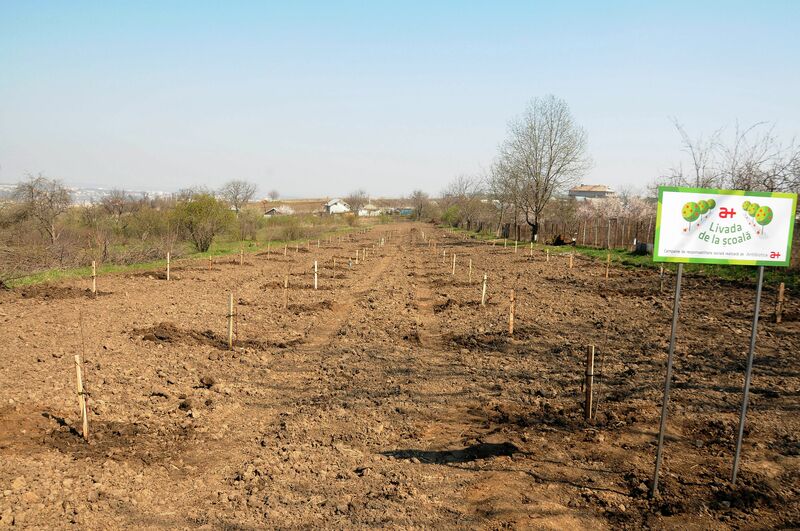 Valea Lupului City Hall and a fourth orchard will be planted.